The medical term for nose job is RHINOPLASTY. 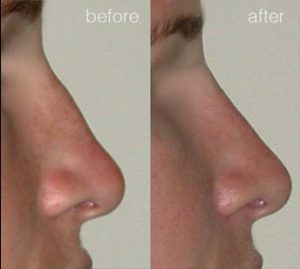 Rhinoplasty may be undertaken purely for cosmetic reasons or purely for functional reasons. More often rhinoplasty addresses both these concerns and is termed SEPTORHINOPLASTY. Should SINUSITIS (inflammation of the sinuses) be present as well, this may need to be addressed prior to RHINOPLASTY or at the same time as rhinoseptoplasty. The nose is not a simple structure. With a vital role in breathing, it is also a central feature on our faces. Understandably, many people are conscious of the appearance of their nose both front on and in profile. 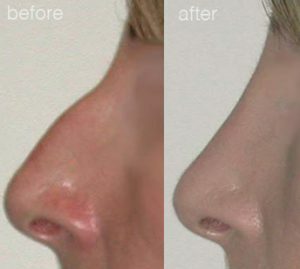 Dr Alan Evans has helped thousands of people to revise their natural nose and achieve a look that better suits the natural contours of their face. It is a highly personalised surgery; with Dr Evans there is never a “one nose fits all” approach. 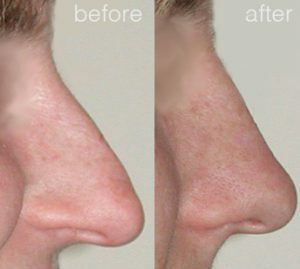 Dr Evans works with the unique angles and shape of your face in order to subtly reshape your nose to create a natural appearance to suit the individual features of your face. Nasal surgery can be performed to change consequences of genetics, birth defect or injury. It can be done to enhance your appearance and/or to improve your nasal breathing. Interested or have questions? Dr Alan Evans can answer them. In younger patients, the surgery can be performed after the skeleton of the face is fully developed. This usually occurs at approximately 16-18 years of age. In adulthood, the surgery can be performed at any age. 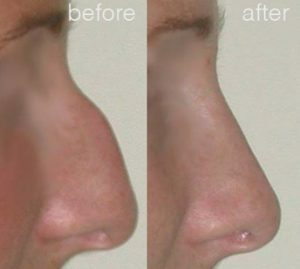 If you have had a previous operation on your nose and are unhappy with the outcome, you may be a candidate for secondary or revision nasal surgery. If too little bone and cartilage have been removed at the original surgery, additional reduction of your nasal skeleton may be indicated. If, however, too much tissue has been removed, or if the remaining tissues are distorted, the procedure may involve grafting bone or cartilage from other areas of your body. Simply send your enquiry here and we will get back to you with more information. 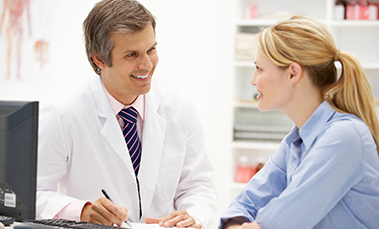 At your initial consultation, Dr Evans will ask you to express your specific concerns about your appearance and to describe your symptoms. You will also be asked to identify or discuss your concerns and desires for a better nose. 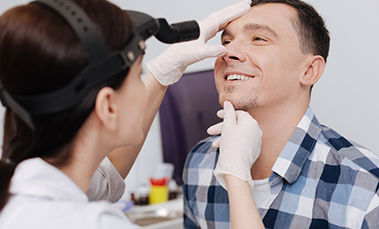 Your medical history will be reviewed and a physical examination will be conducted to determine if nasal surgery is advisable. The physical characteristics including size, shape, soft tissue, skin, symmetry and bone structure will be discussed in detail. 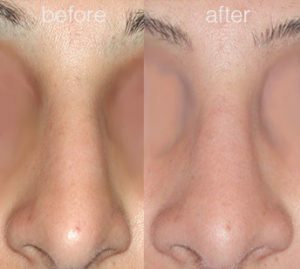 Digital photography will be undertaken and with the use of updated modern imaging software your nose will be altered to attain a result that should be both pleasing to you and surgically achievable by Dr Evans. This imaging will not guarantee you an exact template of the final surgical result but serves to reassure you that the surgical plan will be acceptable to you as well as to reassure Dr Evans that you will be happy with the result. If you are unhappy with the imaging then this will be discussed to see whether it can be altered or not. If the desired end result is surgically unattainable or risky to function Dr Evans may decide not to operate. A rhinoplasty information pack together with your images and quotations for surgery will then be mailed to you. Further consultation is usually required to answer questions and arrange bookings should you wish to proceed with surgery. The pack will include consent forms, rhinoplasty and septoplasty information sheets, preoperative instructions and if required, hospital admission forms. All aspirin, aspirin-containing products, and anti-inflammatory products must be stopped at least ten days before and for ten days after surgery. Panadol may be taken during this time. Most naturopathic products including vitamins and fishoil are best stopped a week before surgery. This is done to promote healing and limit bruising. You are advised to contact the hospital concerned a few days prior to surgery for information about your stay. If you are considering rhinoplasty surgery to alter the size or shape of your nose, the current surgical options offer more satisfying results than ever before. 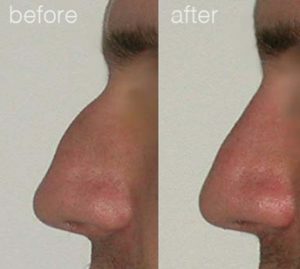 ENT and Facial Plastic Surgeon Dr Alan Evans uses modern imaging software to provide a customised view of what your nose will look like following rhinoplasty with the latest surgical techniques. 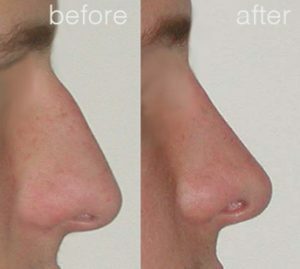 Dr Evans will discuss the specific features of your nose that can be altered as well as the features that do not require any surgical intervention. 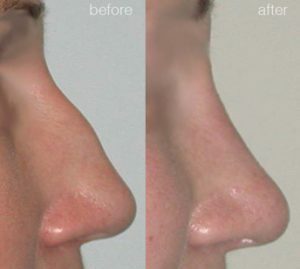 A successful rhinoplasty produces a nose that suits your face and has a natural appearance. Dr Evans works with you to create an aesthetic appearance based specifically on the unique qualities of your facial anatomy. Preoperative imaging allows you as a patient to view what the outcome will be and discuss beforehand any issues you have with the post-surgical result. This allows Dr Evans to find the optimal balance between surgical limitations and what you ultimately desire in your post-surgical appearance. Once you decide to proceed with rhinoplasty surgery, and you have voiced all your concerns and had all your questions answered about the rhinoplasty procedure, you will be ready to arrange a date and venue for your operation in Sydney. The hospital admission forms will need to be completed and operative and financial consent forms checked and signed. Pre-operative medications need to be checked and all medications and naturopathic products that may cause or aggravate bleeding and bruising stopped. Surgery may be as a day or overnight .The hospital will contact you to tell you when you can last eat and drink and what time you will need to be there. The anaesthetist will see you before your operation to check and discuss your anaesthetic. In most nasal surgeries, general anaesthesia is used. However, in some cases, local anaesthesia with intravenous sedation may be preferred. Dr. Evans and his anaesthetist will help you make the decision as to which type of anaesthesia is best for you. The rhinoplasty procedure may take from one to three hours. 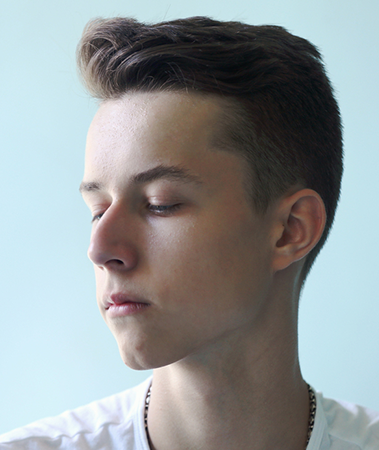 The first one to two hours after rhinoplasty surgery are spent in the recovery room. Dr Evans understands that nasal packing is uncomfortable and will endeavour to avoid this or to remove it in the recovery area when the nose is still numb. However, there are sometimes instances when overnight packing is indicated and advisable and usually a soft sponge is utilised for this purpose. When you are fully awake you will be able to return to the ward. You will be encouraged to keep your head elevated and to use cold compresses to reduce swelling and bruising around the eyes for 48 hours. There is mild to moderate discomfort following nasal surgery during the recovery period. After surgery you will have a plastic splint on your nose for 5 days. Rhinoplasty may be done via an ENDONASAL APPROACH entirely through the nostrils without any external incisions, or an EXTERNAL or OPEN APPROACH may be necessary, where a small incision is placed underneath the nostril. This rarely produces a visible scar, and will be discussed with Dr. Evans. In this instance the sutures will need to be removed five days after rhinoplasty surgery when Dr Evans sees you for your initial postoperative visit, cleanses the nose and ensures that your healing and postoperative pain control is adequate. Further follow-ups and photography will be arranged until full satisfactory healing has occurred. Although the nose is approximately 80% healed at six weeks, it can take up to a year for all post operative healing and changes to fully settle. 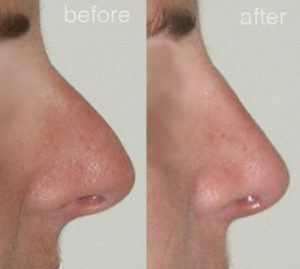 Pain medication is prescribed during rhinoplasty recovery. Pain is mild to moderate and seldom severe. 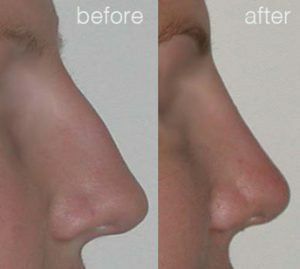 After the rhinoplasty procedure you will be required to irrigate your nose with saline washes three times per day and may require antibiotics and pain medications.. You will usually feel tired and lethargic for a few days after surgery and legally cannot drive for 24 hours afterward or if on sedative drugs. You are advised not to drive for at least 2-3 days.The nasal splint and sutures will be removed and the nose cleansed at 5-7 days. Antibiotic ointment should be applied to the nostrils three times a day. There may be bruising and swelling which lasts for one to two weeks. A subtle degree of swelling will remain for several months. Most patients may drive a car and return to work and social activities after 7-10 days. Strenuous physical exercise is avoided for three weeks following rhinoplasty surgery. Contact sports are to be avoided for six weeks. You can wear contact lenses after a few days. However, if you wear glasses, you may need a special tape to suspend your glasses from your forehead. 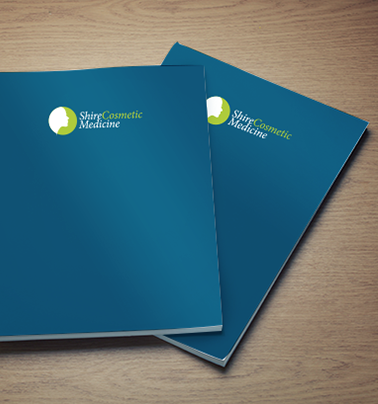 Postoperative instruction sheets will be provided in hospital to help you with your rhinoplasty recovery period. As with any operation, nasal surgery has associated risks and complications. However, with highly trained doctors and nurses making up the surgical team, complications are unlikely and will be discussed at the consultation. Some insurance companies will pay for rhinoplasty and septoplasty if it is medically or functionally indicated. Our office staff will help you to determine if you are eligible for such benefits and you are advised to contact your insurance company for prior approval if you are eligible. Full financial consent is provided prior to your procedure. Dr Evans has a tertiary care rhinoplasty practice and a large experience in revision rhinoplasty with patients often referred to him from colleagues. He is often required to operate on patients who have had multiple rhinoplasty procedures in the past or severe trauma to the nose. These procedures may require complex reconstructions using autologous grafts (e.g. patients own ear cartilage, rib cartilage or bone) or synthetic grafts. Dr Evans may not always be able to operate to the advantage of the patient and in these circumstances the patient will be told that further surgery may be inadvisable. The outcome of rhinoplasty surgery cannot always be predictable or guaranteed. Problems do sometimes occur and the revision rate of rhinoplasty surgery in experienced surgeons hands is approximately 5-10%. Often these are minor adjustments or corrections but may require further anaesthesia, hospitalisation and expenses. These need to be considered when deciding to proceed with rhinoplasty. Fortunately, serious or disastrous outcomes following rhinoplasty are quite rare. Dr. Evans has over 25 years experience, diagnostic and interventional, in managing and treating sinusitis. He first underwent training in Functional Endoscopic Sinus Surgery (FESS) in 1988 and has performed over 2,000 nasal and sinus procedures over the years. When you are seen for rhinoseptoplasty consultation, a history for sinusitis and nasal breathing will be taken. If sinusitis is suspected, investigation for this may need to precede rhinoplasty surgery. Such investigation may require allergy, skin and blood testing, nasal flow function tests as well as CT scans of the sinuses. Sinus inflammatory disease which includes allergy, polyps, infections and other pathologies, may deleteriously affect the outcome of rhinoplasty surgery. If FESS (Functional Endoscopic Sinus Surgery) is needed in order to control inflammatory disease, this may need to be undertaken prior to rhinoplasty although in some instances both the sinuses and the rhinoplasty, (functional and aesthetic surgery) can be undertaken as a single procedure to help reduce downtime. Consideration to both function and aesthetics are intergral to the planning of surgery in all cases! Are you ready for the nose you want?